I really like that word, “snack.” I don’t know if it brings on a feeling of comfort or what it is, but when I hear the word it makes me happy. It makes me think of snuggling on the couch and watching a movie; it gives me a cozy feeling. I also love during Rachael Ray’s show when she is about to go into a commercial break and says, “go grab a snack and come on back.” I am a weirdo I am aware. But, speaking of snacks, I have some of my favorite SCD snacks to share with you all. Even if you aren’t following the SCD, these snacks are healthy and delicious options if you are in need of a little pick-me-up. But first, let’s recap dinner last night because it was pretty darn tasty. 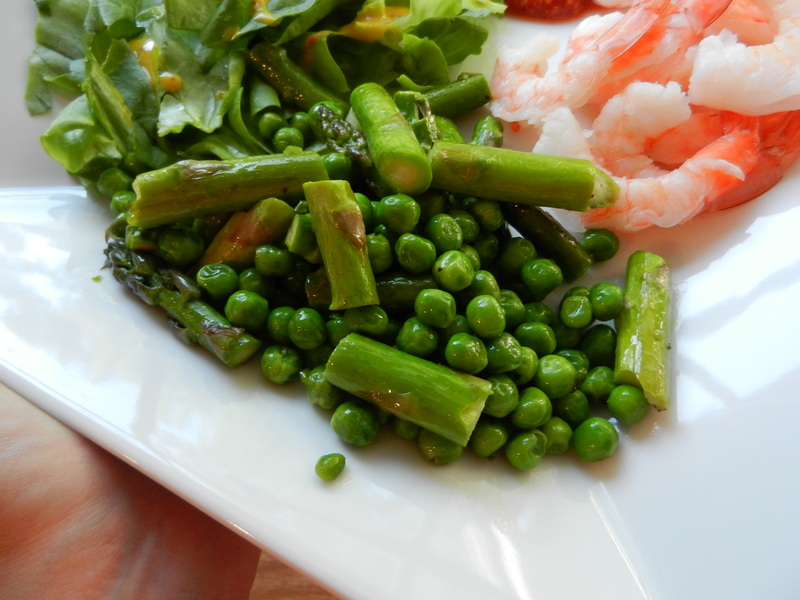 I sautéed asparagus spears and green peas in a tiny bit of butter and seasoned with salt and pepper. I also had shrimp cocktail with homemade cocktail sauce made from SCD ketchup and horseradish. On the side, butter lettuce with homemade honey mustard sauce. Honey mustard: mustard, Dijon mustard, honey, and apple cider vinegar. For me, the asparagus and pea sauté stole the show. 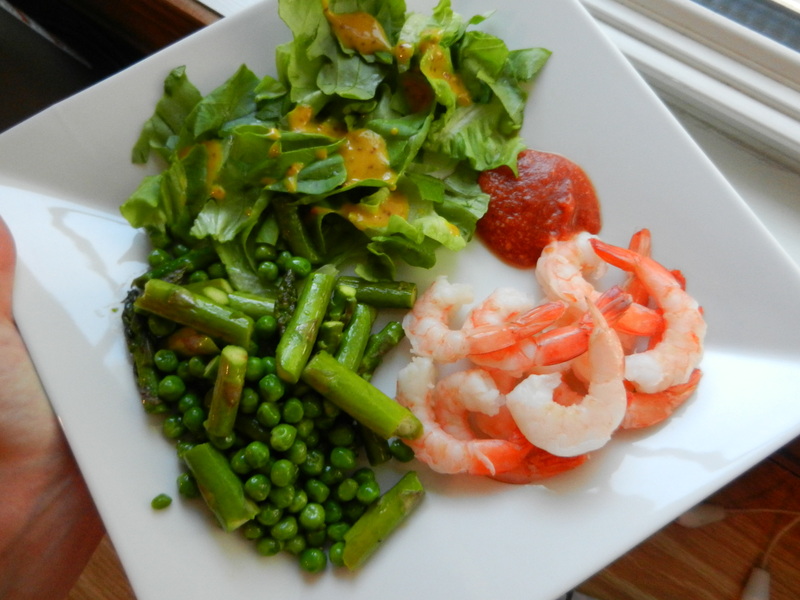 I love those two veggies. Num num. For dessert I ate a bite of peanut butter with honey. Later in the evening I munched on cooked carrots and applesauce. Now, on to those snackies. These have been some of my go-to’s lately. They are all SCD-friendly but like I said, SCD or not, they are great snacks for all. 1. 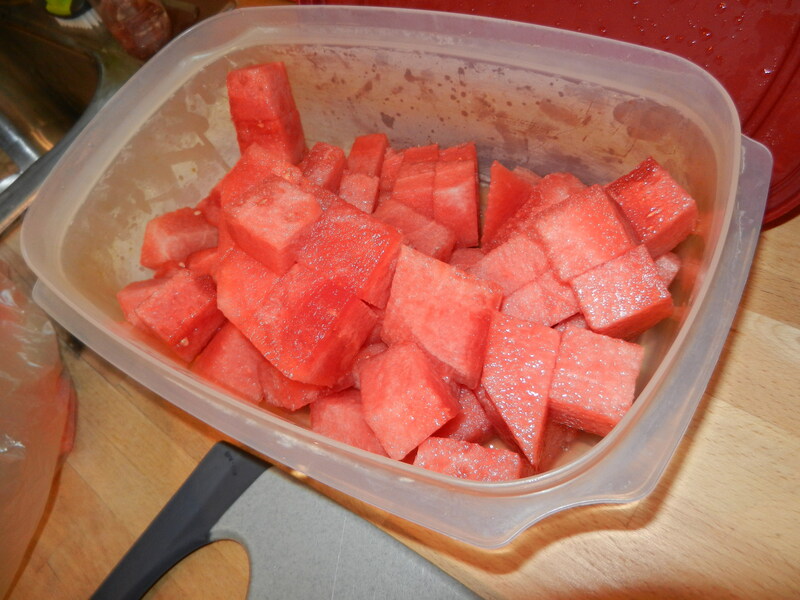 Juicy, sweet watermelon. I keep this stocked up in the fridge, all cut up and ready to go. Sure it’s a little bit of a pain to cut up, but it’s well worth it. 2. 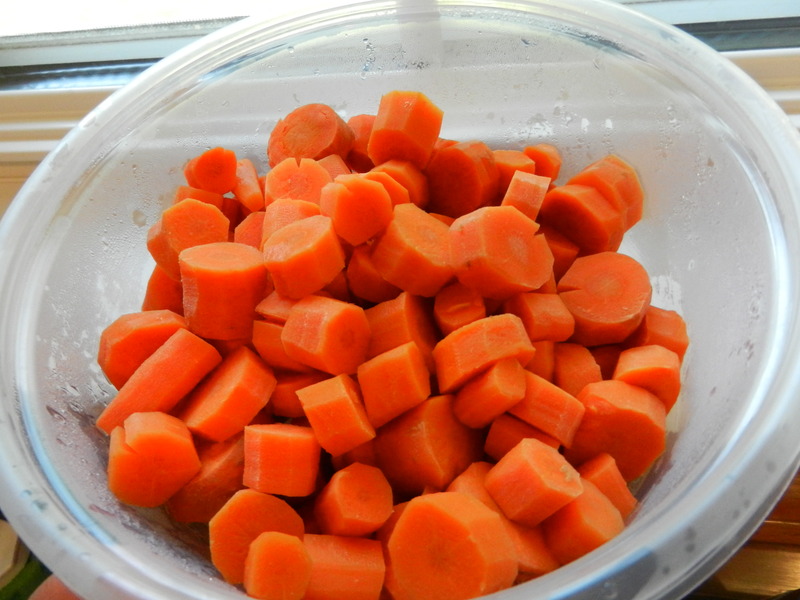 Cooked carrots. When I have a little extra time I make a big batch and store them in the fridge so that they are easy to grab. I keep them at eye level so I am more likely to go for them first when in need of some energy. 3. Hard-boiled eggs. These are a great source of protein so if I need something to hold me over for a little while, I eat one of these. 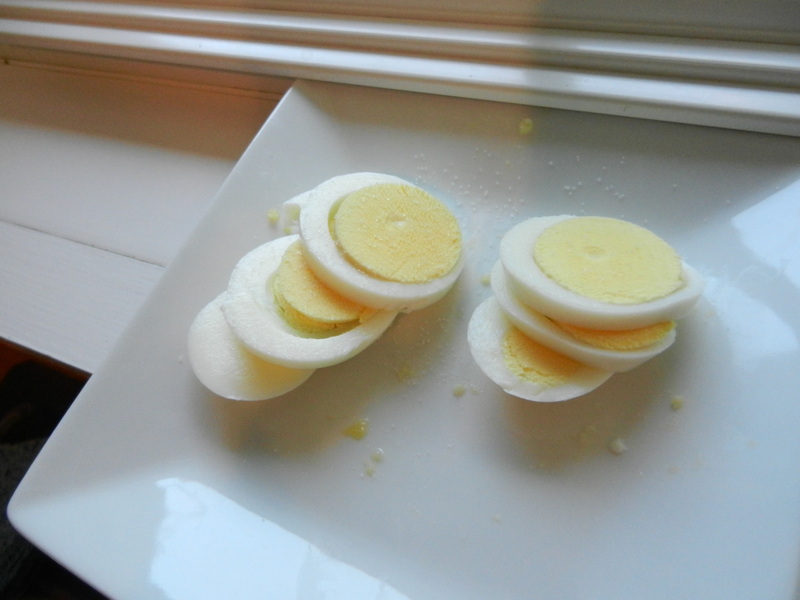 I like using our egg slicer to make perfect slices, and I sprinkle with a touch of salt. 4. Yogurt bites. Cool, refreshing, and fun. 5. 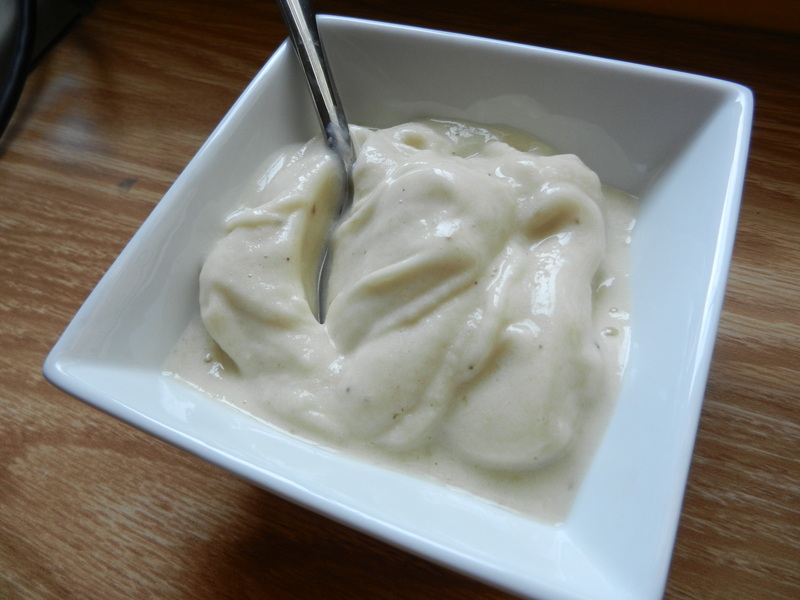 Banana soft serve or yogurt and honey. It’s like eating ice cream, ’nuff said. 6. Mini muffins made from almond flour. Limit to 1 or 2 mini muffins a day though! 7. 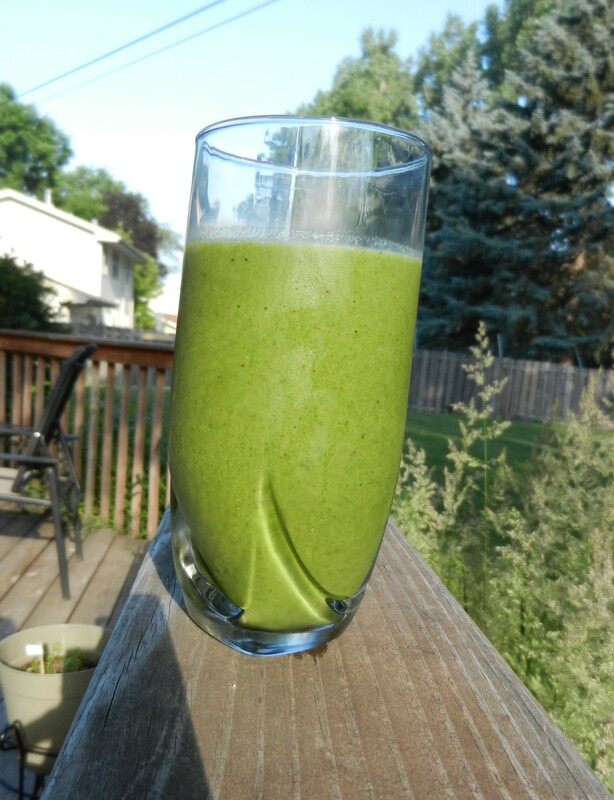 Smoothies with fruit, SCD yogurt, and spinach. 8. 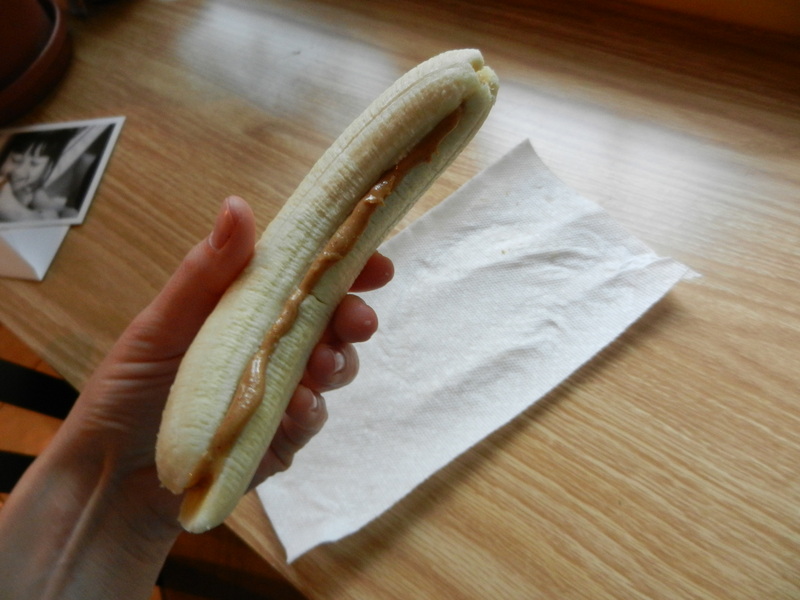 Banana with nut butter or just a bite of nut butter on its own. 9. 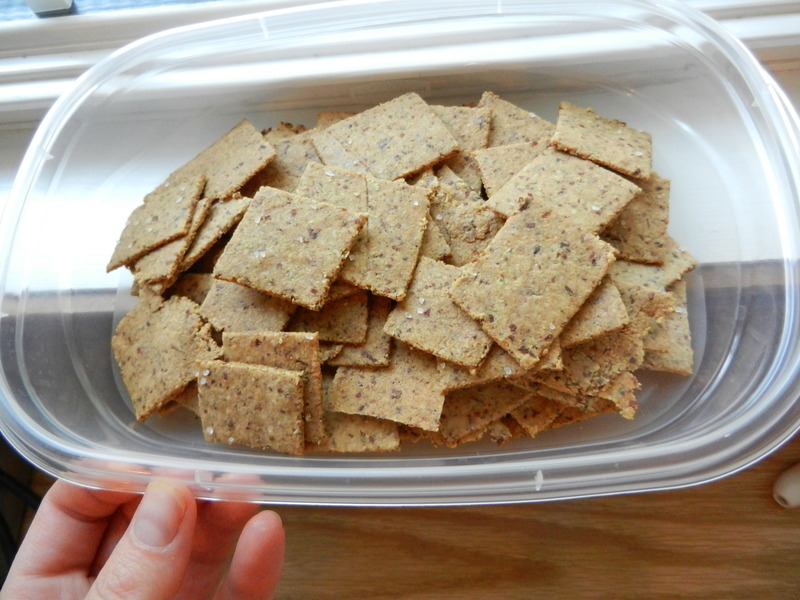 And my newest snack addition: Almond Saltine Crackers. 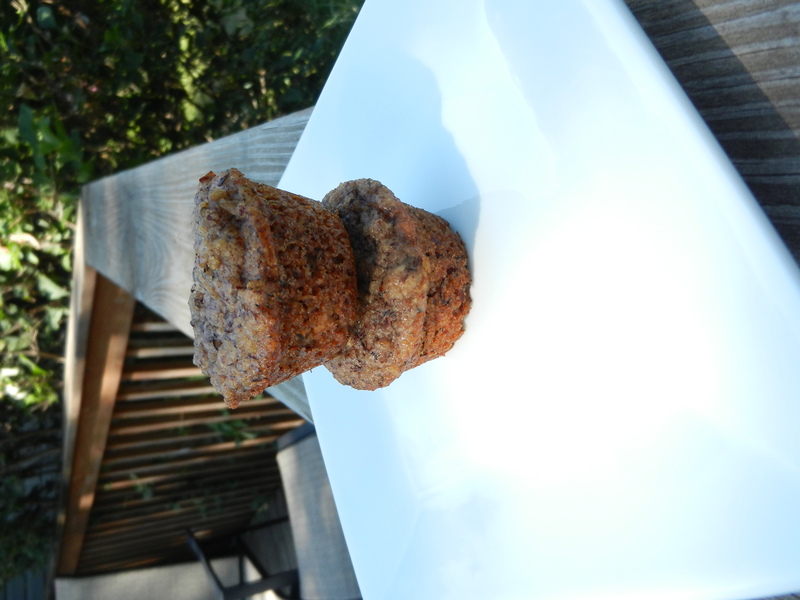 I found a great recipe from Comfy Belly’s site. Here’s how you make them. To begin, preheat your oven to 350°. In a large bowl, mix together 2 cups of almond meal or almond flour with 1/2 teaspoon salt. Next, add 1 egg and 1 tablespoon of olive oil and mix well. It’s okay to use your hands to help mix, I did! Form into 2 balls of dough. Place a dough ball on a non-stick baking mat or parchment paper, and top the dough with a layer of parchment paper (like a cracker dough sandwich). 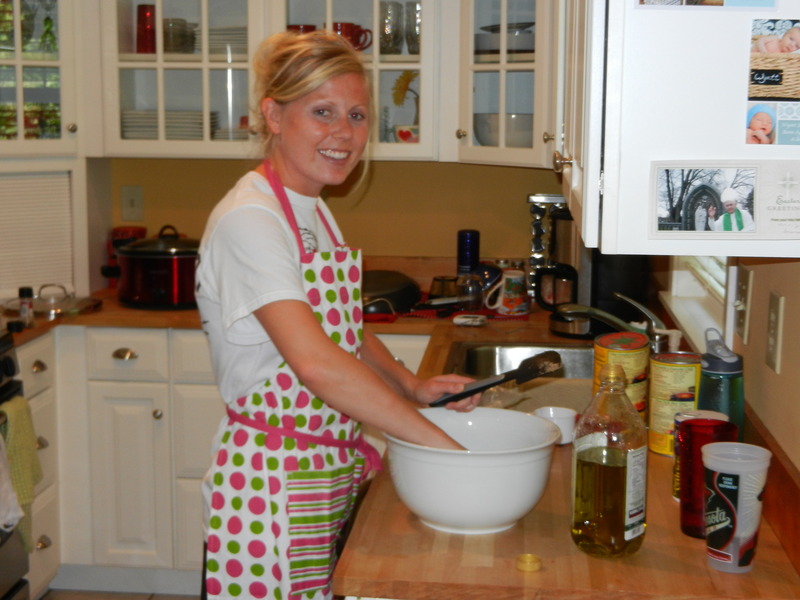 Use a rolling-pin to roll the dough into a flat large rectangle/circle/whatever shape you can roll it into. Carefully peel off top layer of parchment paper. You can see mine was far from perfect. It doesn’t matter though! 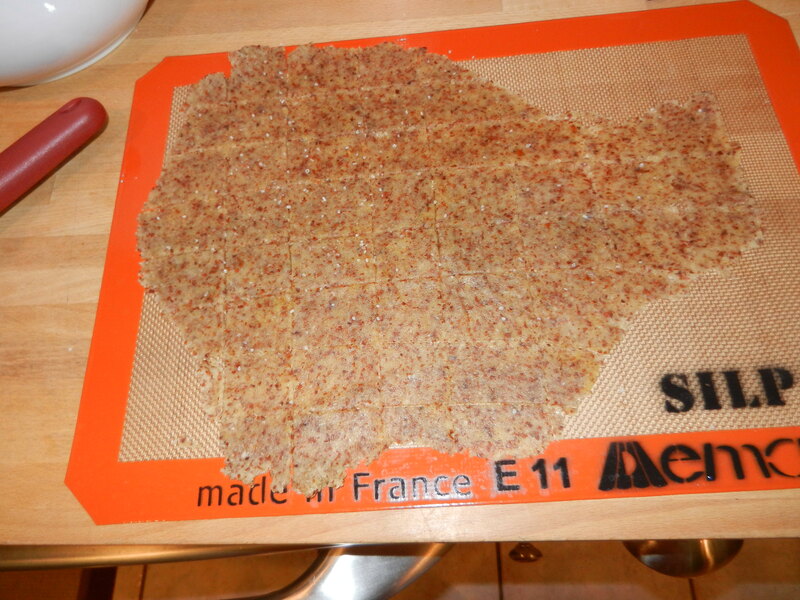 Use a pizza cutter to cut into cracker size rectangles, and transfer the baking mat and crackers to a baking pan. Sprinkle with a light amount of sea salt. Bake for 20 minutes (baking time with vary so keep an eye on crackers and watch for a lightly golden color and crisp edges). Split crackers apart. 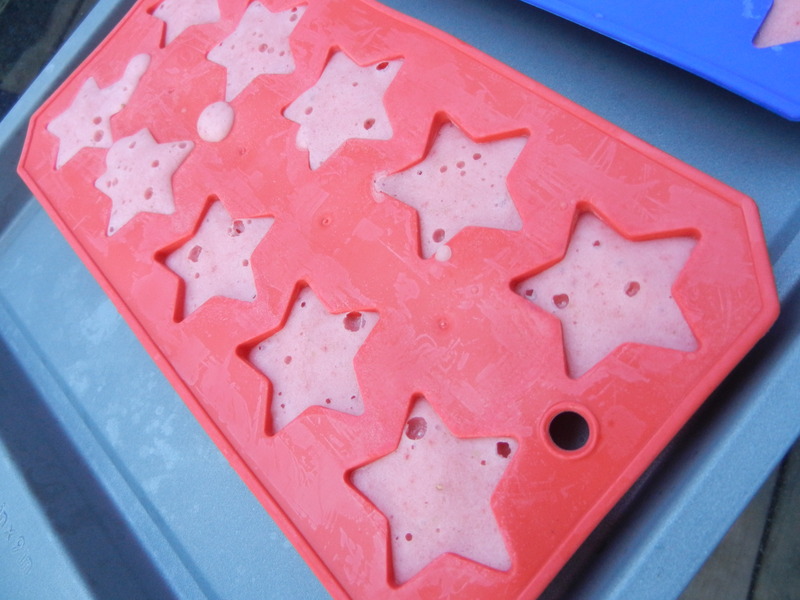 Once cooled, store in an airtight container and you have a salty snack on hand when you need it. They taste a whole lot like saltine crackers and I really like these salty snacks. In a large bowl, mix together almond meal and salt. Add egg and olive oil; mix well and form into 2 balls of dough. Place a dough ball on a non-stick baking mat, and top the dough with a layer of parchment paper. Use rolling-pin to roll the dough into a flat large rectangle/circle/or whatever shape (it really doesn’t matter). 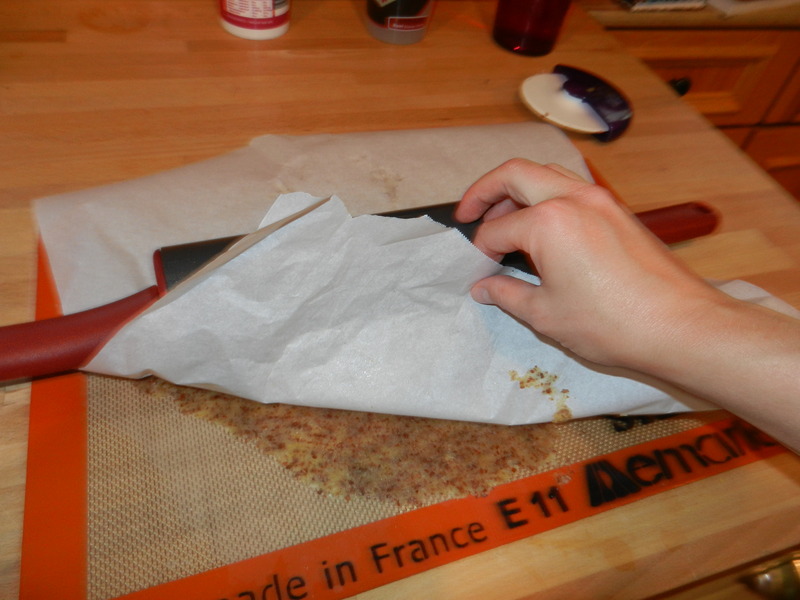 Carefully peel off top layer of parchment paper. 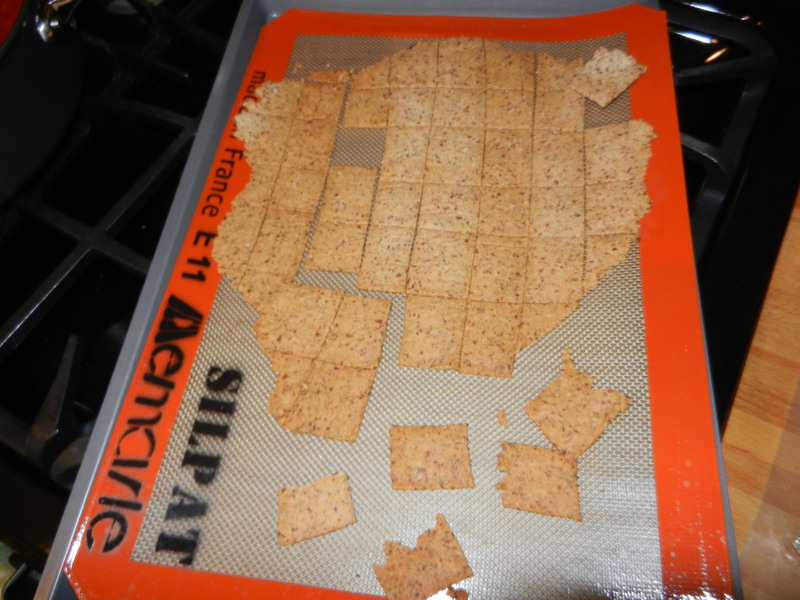 Use a pizza cutter to cut into cracker size rectangles, and transfer the baking mat and crackers to a baking pan. Sprinkle with a light amount of sea salt. Bake for 20 minutes (baking time with vary so keep an eye on crackers for a lightly golden color and crisp edges). 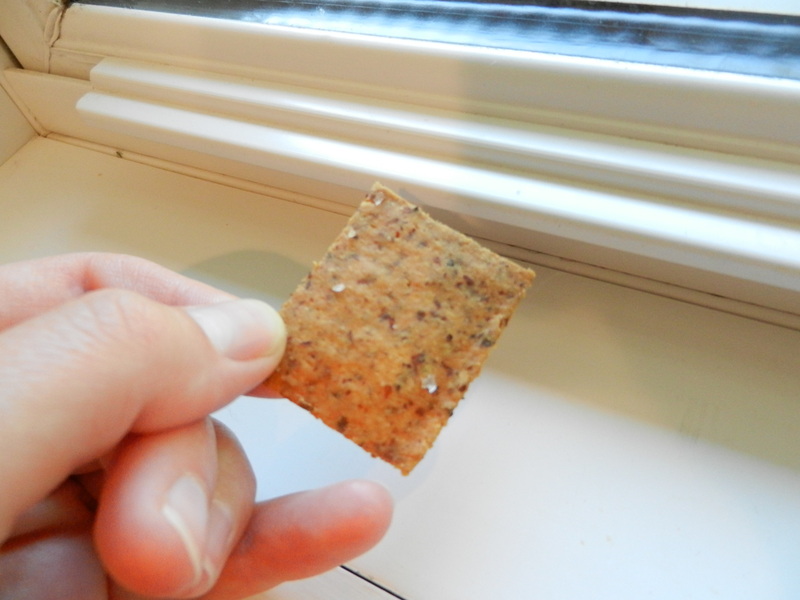 Split crackers apart. Once cooled, store in an airtight container. Happy snacking! Oh, and happy Monday? Kidding, yes it will be a happy Monday. Again, I’ll try and be positive about Monday if you will! Catch up with you later. This entry was posted in Dinners, Health, Recipes, Snacks and tagged Bananas, Eggs, peanut butter, SCD, Snacks, sweet treats, Veggies, Yogurt by Melanie. Bookmark the permalink. The crackers are awesome! You can add herbs or cheese to them too or you could make a sweet version by adding cinnamon and honey. The no stick no slip mats really work great. It would be a good investment!